Looking to spice things up in the kitchen? 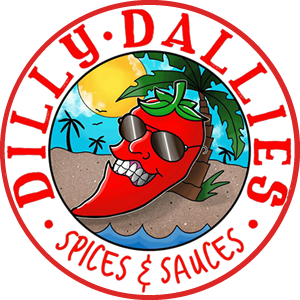 Try the recipe below and check back soon for more meal ideas and recipes from Dilly Dallies! Zesty Mexican spices, quick cooking dehydrated black beans, peppers and sweet corn are the base for this Southwestern specialty. Add chicken, salsa and tortilla chips to finish. Our top seller and NASFT Sofi Award winner. Soup so good, you’ll want to host a party! Dehydrated Black Beans, Corn, Red and Green Bell Pepper, Onion, Garlic and Spices. No Added Salt, Preservatives or MSG. In a 4-qt pot bring broth and water to a boil. Add contents of South of the Border Tortilla Soup Mix, chicken and salsa. Simmer, covered, for 25 minutes. Serve as is, or crumble chips into bowls and pour hot soup on top!